Roll-Line Speed RACE ABEC 9 7mm & 8mm Professional Bearings – Skates U.S.
size (7mm or 8mm) Bearings are needed. 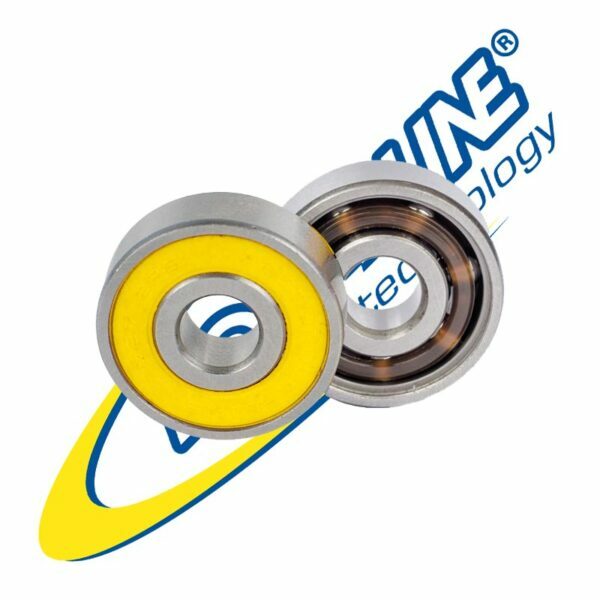 The Roll-Line SPEED RACE Professional Bearings are specifically designed and manufactured for very High Level Competitive Roller Skating of all types. 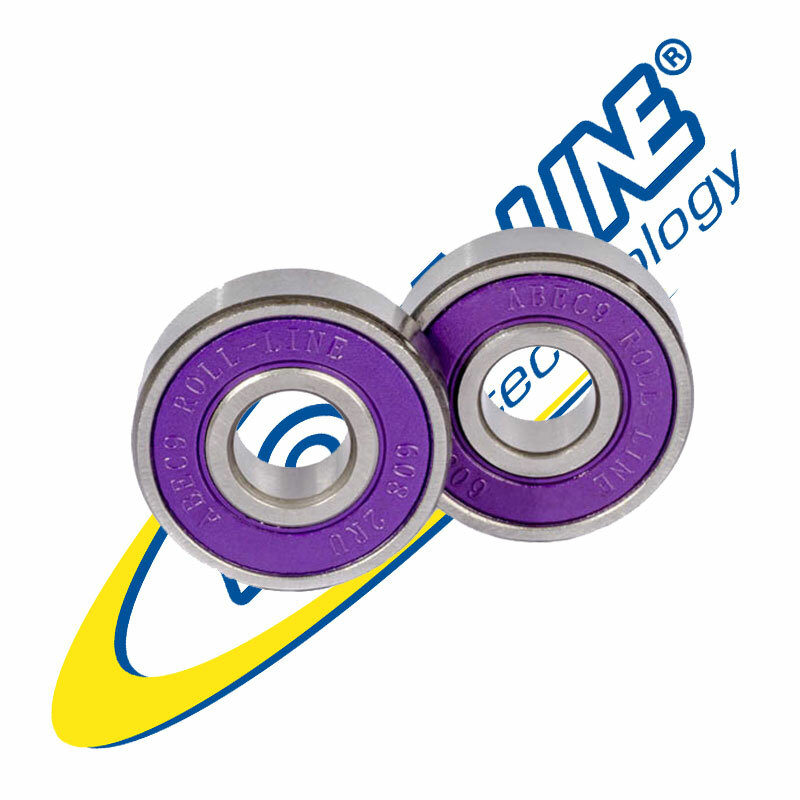 The Roll-Line SPEED RACE Professional Bearings are Free Rolling with minimal Radial Play which promotes and very evenly distributes the load across the 7 balls for optimal Roll and a good amount of Axial Play or Thrust, which is the side movement of the inner race in relation to the outer race. This movement is very important because when Skaters push, we always put side load on the skate to get power in the push or stroke. If the Bearing does not allow for this, it will bind and LOOSE operating speed or ROLL. These provisions in the Race Curvature and Contact Angle allow the Roll-Line SPEED RACE Professional Bearings to ROLL very freely. The Roll-Line SPEED RACE Professional Bearings have a single rubber Shield to help keep the dust and dirt out. The high performance Ball Crown Cage is Carbon impregnated to provide a little extra dry lubrication to ensure these Bearings will perform far beyond most other Bearings. 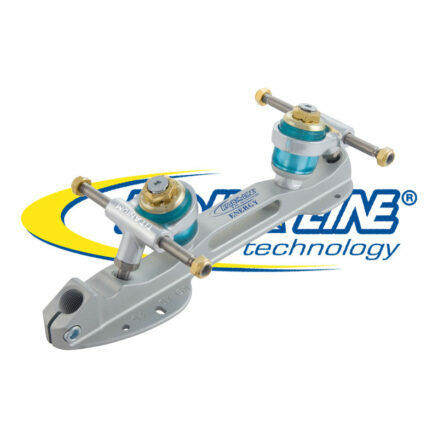 Roll-Line SPEED RACE Professional Bearings are ONLY available for Skates with 7mm or 8mm Axles. These ultra high performance Roll-Line SPEED RACE Professional Bearings will perform at the level of some of the most expensive ceramic bearings, but have the resiliency and strength to provide better performance for much less cost. 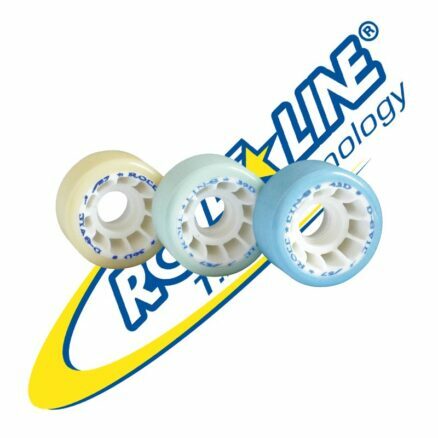 The Roll-Line SPEED RACE Professional Bearings are skated on by most of the World level Skaters and Champions in Artistic and Quad Ball Hockey. No matter what type or your level of Skating, GREAT Bearings can only help! For more information on Bearings and their care, please check out the Bearing Information section of the Learning Center at SkatesUS.com .